Karlie Kloss and Diane von Furstenberg reunite for DVF’s Spring 2016 campaign, which was shot by Angelo Pennetta and styled by Clare Richardson and launches today. 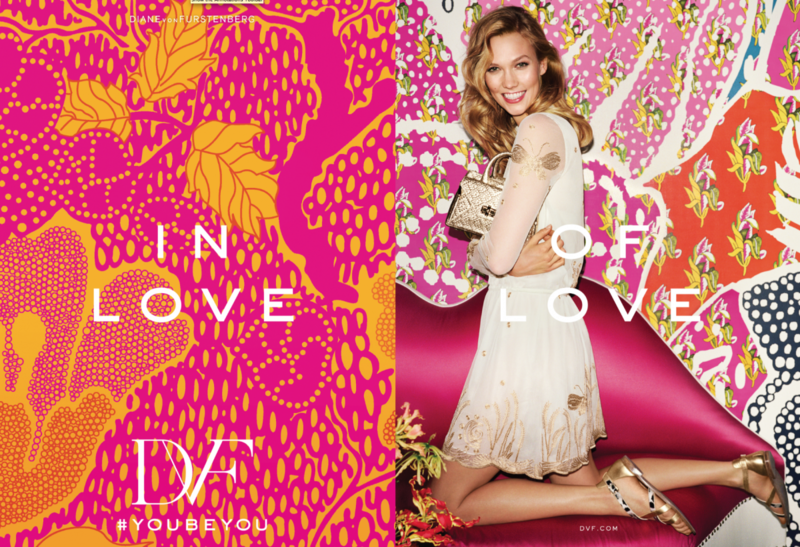 “This campaign feels so DVF because the first things you see are confidence and colorful prints,” said von Furstenberg in a statement. “Karlie was a perfect choice to represent—and celebrate—the multifaceted nature of today’s woman. She is a supermodel, she is an entrepreneur, she gives back, she is a student, she is close to her family. She’s passionate, constantly improving herself, fearless. She knows who she is and is never afraid to show it. She is the woman she wants to be. Together we invite all women to find this spirit and confidence in themselves.” Karlie also appears in a YouTube clip (watch below) with a DVF voiceover where she says, “This is me being you. Now you be you.” The campaign was created by New York-based creative agency Alldayeveryday.